What is the type of work like for a project engineer at GKN? 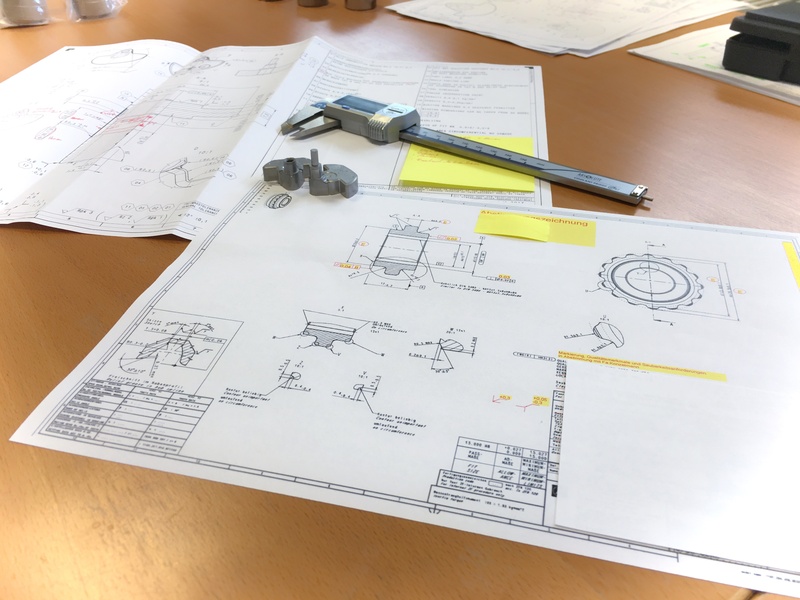 In my role as Product and Process Engineer at GKN Sinter Metals, I’m responsible for the product and process development for new part enquiries from customers. 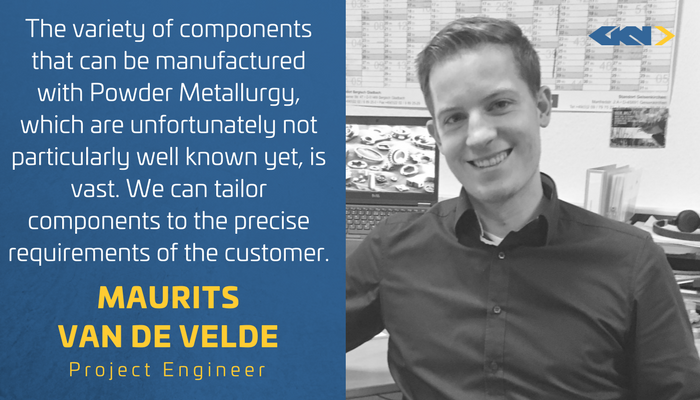 As project engineers, we verify the technical feasibility of all powder metal components requested from us. We will establish all necessary prerequisites internally and create a cost calculation that our sales team then passes to the customer. As soon as a job is commissioned, we support the product development process from the sample phase through to serial production. Which steps are taken for a new component to get to the serial production stage? The process begins with the customer’s technical drawing, followed by the technical feasibility and cost calculations. Both of these stages often involve many questions and iteration loops before a design is agreed upon, especially if the customer does not have experience with PM. At this point the sample phase begins: based on the agreed design, GKN will manufacture tools and components for the customer and carry out all tests in its system. If it becomes clear that technical adjustments are needed for geometrical or tolerance reasons, the process will be repeated using new prerequisites. Normally, batch production begins after two or three test runs. How are the components then produced? Can you describe the PM manufacturing process in your own words? As the name indicates, everything begins with the powder: it is compressed into the pre-prepared moulded parts. Because the powder is not sufficiently firm, it is then sintered into a solid moulded shape. Because of specific firmness requirements and restrictive tolerances or geometric requirements, reworking often has to be done. This may mean that the parts need to be ground or rotated, and sometimes the parts may be recompressed or need heat treatments or deburring processes. At all phases of the process, PM offers custom development options to tailor the end product to the customer’s requirements. The powder also largely consists of recycled materials which helps make PM into a sustainable technology. What do you think customers value most about PM? PM certainly offers a stable process. You can be sure that the products you receive will be of sustainable quality in industrial mass production. This is also the case for particularly challenging components. What do you find fascinating about this technology? What I find positive these days is that this technology utilizes almost 100 percent of the raw material, meaning there is no waste at all! I also find the fact that all products used in PM can be recycled at the end of their life cycle extremely fascinating and environmentally friendly. Also, there is a vast variety of components that can be manufactured with this technology, which is not particularly well known. We tailor components using a wide variety of moulds and diverse materials to the precise requirements of the customer. However, we can also supply mass-produced components in a cost-effective way using a reliable process. From my perspective, this is something quite special. From your experience, how do customers specifically benefit from collaborating with GKN? We take the necessary time to understand the customer’s challenges. We then persevere: GKN has the drive and technical resources to find optimal solutions to these problems. We regularly organize what we call Innovation Days in our customers’ businesses to explain the possibilities offered by PM and to develop a foundation of trust through our high skill level. For many years we have been developing the powder presses ourselves, which means that the variability and complexity of the mould parts is not as limited as it is for the standardized machines operated by competitors.